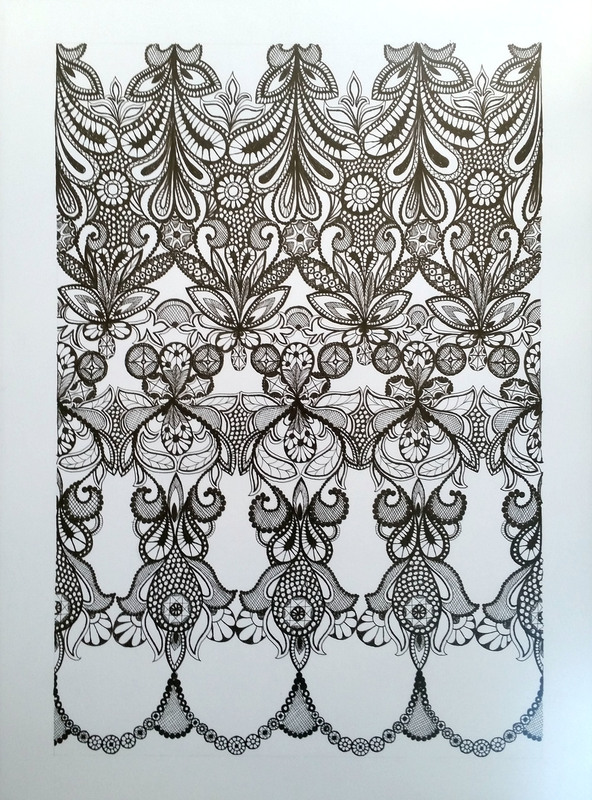 All of the drawings in this series are unique organic creations done free-hand without any premeditation. Shapes are added incrementally, with each layer building on top of the other. 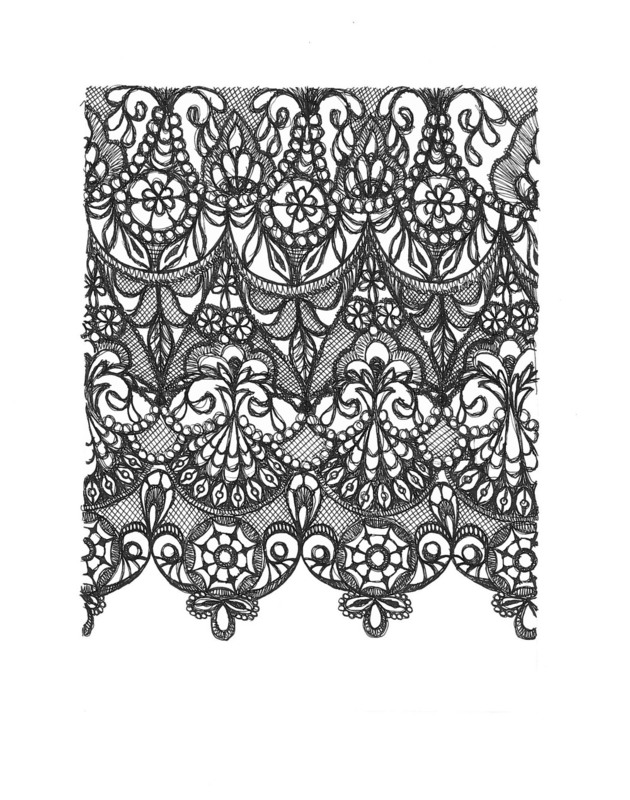 The resulting intricate webs of lines come together and flow apart to create repeating patterns reminiscent of handmade lace.